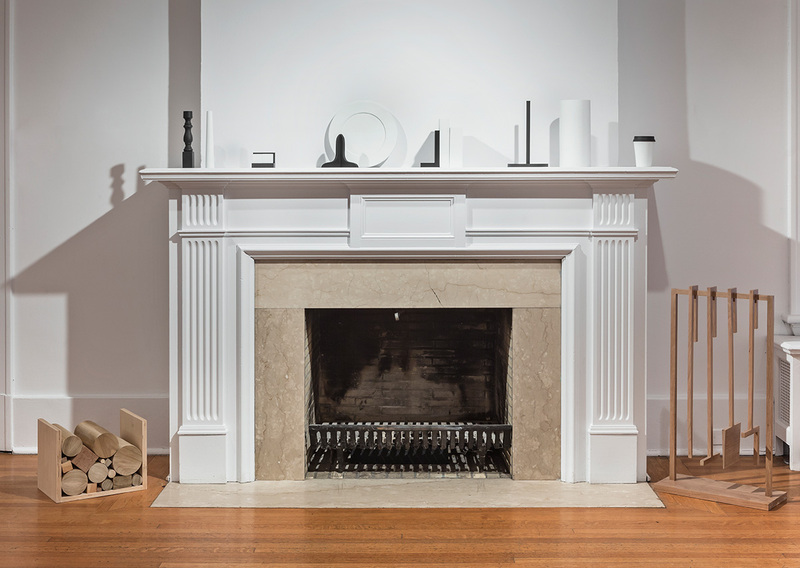 Installation view of Roula Partheniou: House & Home & Garden at Oakville Galleries in Gairloch Gardens, March 29–May 24 2015. All images courtesy of the artist and MKG127, Toronto. Photos: Toni Hafkenscheid. Installation view of Roula Partheniou: House & Home & Garden at Oakville Galleries in Gairloch Gardens, March 29–May 24 2015. Wood Pile (Kindling), 2015, varnished assorted wood; Mantelpiece, 2015, acrylic on wood; Tool Set, 2015, varnished cherry wood. 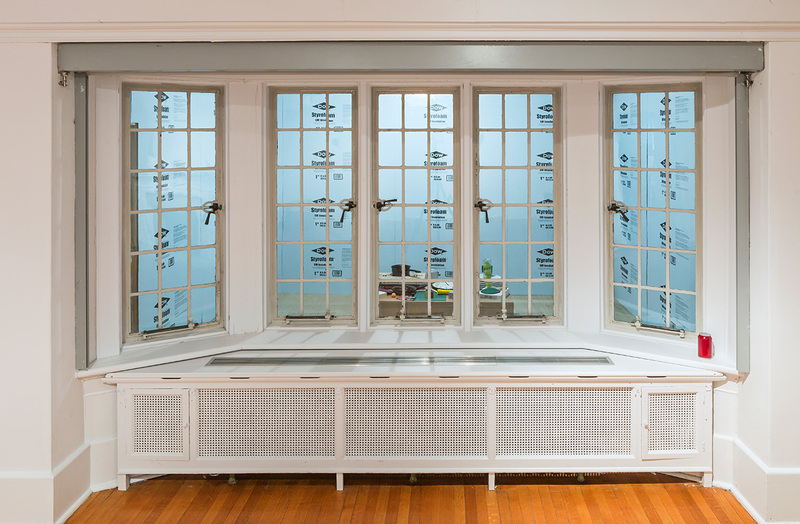 Installation view of Roula Partheniou: House & Home & Garden at Oakville Galleries in Gairloch Gardens, March 29–May 24 2015. 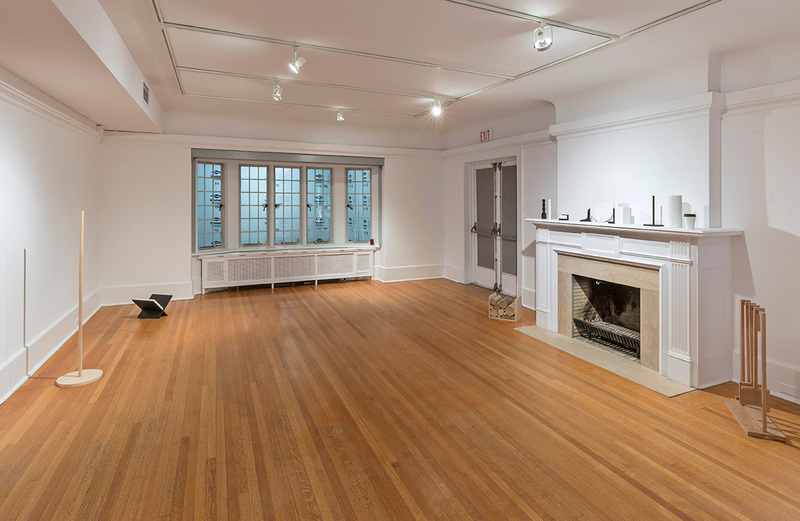 Installation view of Roula Partheniou: House & Home & Garden at Oakville Galleries in Gairloch Gardens, March 29–May 24 2015. Packed Boxes and Clutter, 2015, acrylic and enamel paint on wood and MDF, flocking on foam balls; Addition, 2015, acrylic and screenprint on MDF, construction materials and door. 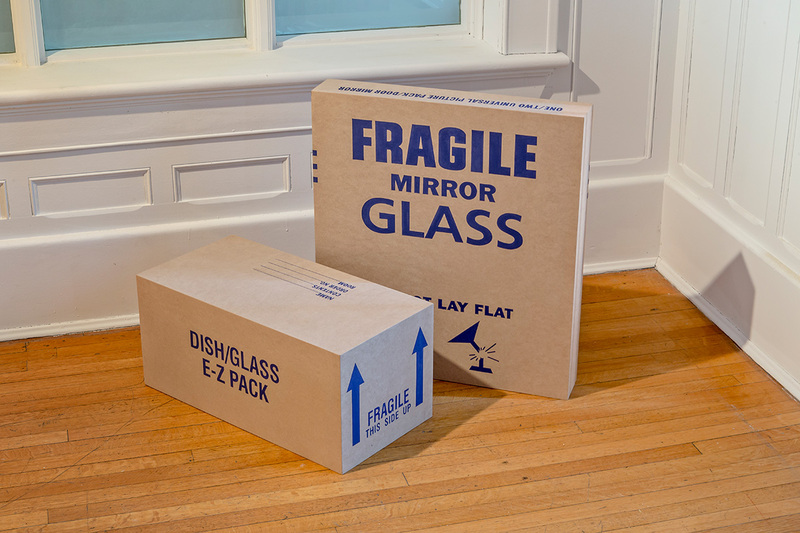 Installation view of Roula Partheniou, Packed Boxes (Mirror, Dishes), 2015. acrylic paint on MDF. Installation view of Roula Partheniou: House & Home & Garden. Storage Shelf, 2015, acrylic and enamel on wood and MDF, pine shelf. Roula Partheniou thinks in the space of the in-between, creating works that enact a queering of the everyday where seemingly familiar objects are held in a continuous rhythm of de-contextualization and re-contextualization. Highlighting this self-reflexive in-between-ness, the artist’s first solo museum exhibition, House & Home & Garden, brings together a collection of objects and installations to the Gairloch Gardens estate, a site that is currently undergoing significant structural renovations. With this exhibition, Partheniou animates the transformation of the estate as a liminal space whereby the definition of “site specificity” is repeatedly called into question. Encountering both visual and spatial markers of the artist and worker’s withdrawn activity, viewers encounter a kind of double negative non-site of unfinished business. House & Home & Garden ranges across the lower level of the estate, between several rooms, enclaves and hallways, mapping relations between objects that range from monochromatic paint cans to empty boxes to plastic beer bottles. Still, the exhibition is not simply focused on these discreet objects installed throughout; it also encompasses a broader mediation of space whereby Partheniou draws attention to the floors, ceilings and walls that frame the encounter. As visitors wander in and out of the galleries, it becomes difficult (if not altogether impossible) to distinguish where the renovation ends and Partheniou’s intervention begins. Upon entering the exhibition, visitors encounter a stripped-down, emptied out rectangular room created from exposed drywall, plywood and pink Styrofoam insulation. This barren space contains only a plastic disposable coffee cup, an unidentifiable black jar and a precarious, partially extended silver tape measure. The gallery located to the immediate right is a stark, seemingly abandoned space with various objects placed near or against the walls. In one corner, for example, two indistinct, sealed cardboard boxes are placed near a small wall-mounted panel that vaguely mimics the design of a ventilation grid. Additionally, various segments of the doorframe and baseboards are bordered with green paint that, at first glance, appears to be masking tape. At the far end of this space, Partheniou has constructed a temporary marked-off room behind an existing living room window. Peering into this space, visitors will note a piled-up collection of disparate re-cast or recreated dysfunctional objects, including a Rubik’s cube, a frying pan, a tube of tennis balls, a thesaurus and the board game “Fascination.” Crossing through the hallways towards the opposite end of the home, visitors encounter objects such as painted over fluorescent light tubes, cut-up sections of insulation and propped pieces of plywood. 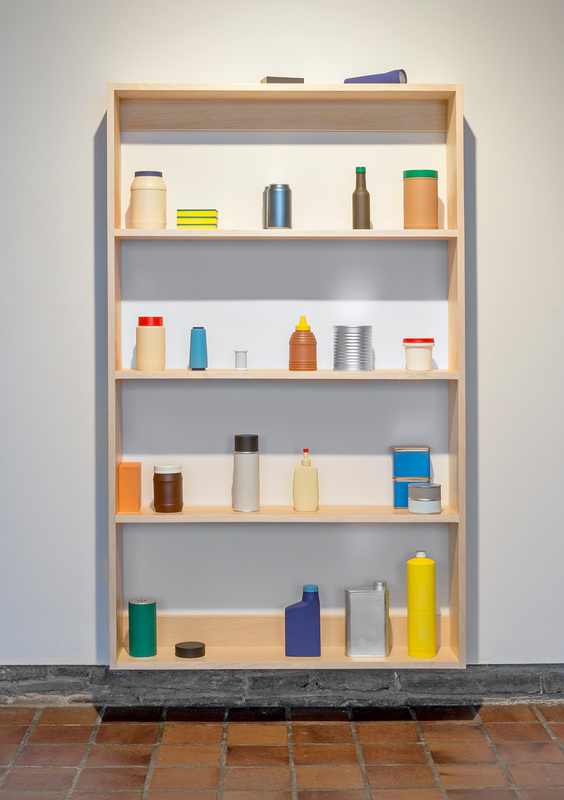 In the last marked gallery space, Partheniou presents a shelving unit filled with various vaguely familiar conical and rectangular everyday objects. Finally, to the immediate left, a collection of loosely-stacked thin wooden rods protrudes from the wall, forming a strange unfinished and dysfunctional ledge. Throughout the exhibition, Partheniou forces us to contemplate the perceivable limit of the search for meaning within the object. 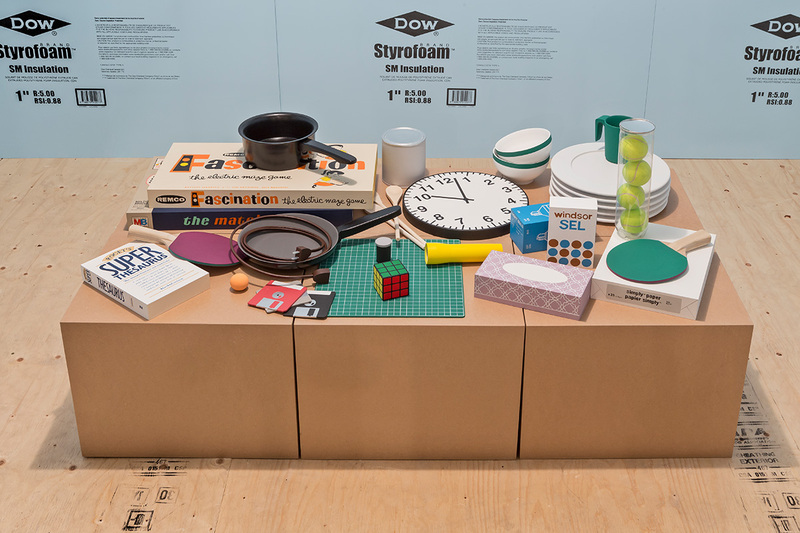 This playful take on the “objecthood” of the everyday identifies an intriguing, subtle shift from the conventional formalist approach. Partheniou interrupts the modernist pursuit of outright finality in the art object, instead highlighting a transitory incompleteness that stands at the threshold of the formal and the informal. It is not only that we cannot trust the appearances of these familiar surfaces, but that we must also consider the difficult uncertainty of how they have arrived to the here and now. What emerges here is the figure of an artist committed to exploring the (non-) position of this turn towards absurdity for its own sake. However, by drawing on earlier discourses in minimalist art, it becomes clear that Partheniou is not simply interested in the ontologies of these discrete objects. Her intervention also underscores the uncertain wandering movement of the body that takes place outside of the object. In this respect, perhaps the most destabilizing aspect of the exhibition occurs when viewers walk back outside into the gardens. 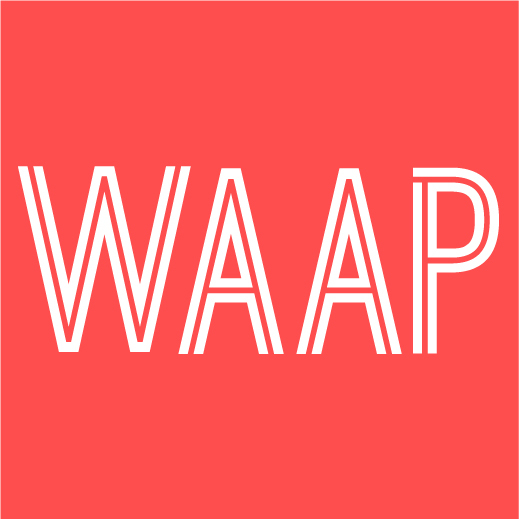 Now, every surface is fair game: our attention might be equally directed towards the laminated building permit slip taped to the temporary plywood wall or to the stacked concrete blocks at the foot of the pathway.